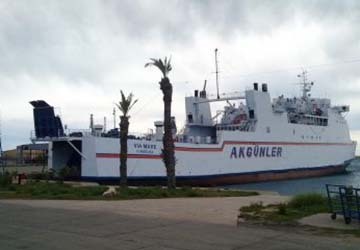 Akgünler Denizcilik is a Turkish operator connecting southern Turkey with Cyprus and Lebanon, with a fleet of hydrofoils and conventional ships. 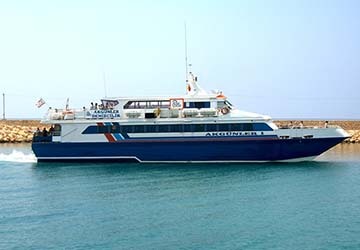 The service has been running within the Turkish/Cypriot tourism industry since 1978 and has helped provide a vital connection to Cyprus from the surrounding countries, while becoming the largest passenger and cargo shipping company in the region. The primary focus of Akgunler Denizcilik is ‘speed, confidence and comfort’, an ethos that has contributed significantly to the nations it sails to, and helped to build a fleet of advanced ferries. 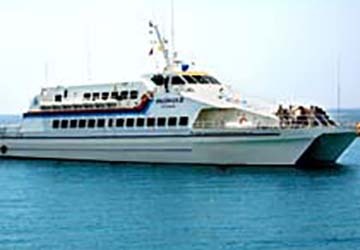 The modern day fleet comprises 3 hydrofoils, also known as sea busses, as well as 3 conventional ferries. 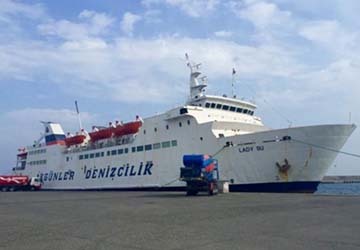 The sea busses vary in size and can carry anything from 170 to 386 people and are foot passenger only, while the conventional ships carry a mixture of vehicles and passengers. Each vessel is certified by the International Safety Management, giving you peace of mind during your trip. Directferries.co.uk provides an impartial ferry comparison service allowing you to view numerous ferry company timetables and fares in one quick and easy search. Compare Akgunler Denizcilik timetables and prices now with all alternative ferry operators before booking your ferry ticket.